Shreve Stockton grew up on Bainbridge Island but currently lives in Wyoming. Shortly after moving to that state she found herself the reluctant mother of an orphaned coyote cub. 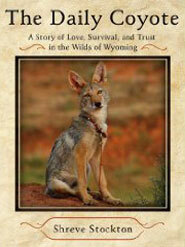 Her daily blog updates about raising Charlie the coyote proved so popular that she decided to write a book about her experiences. The Daily Coyote (2008) is a true stand-out in the genre of animal books - one of those rare books where a seemingly simple story touches on all of the complexities of life. An Amazon reader writes: "When I picked up this book I expected an interesting animal story, and instead found an absolutely engaging page-turner about a wonderful young woman's search for herself in Wyoming. I read it cover to cover in a day-- this is one of the best books I have read in years." The writing is accompanied by breathtaking photos taken by the author. 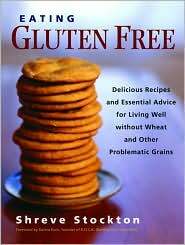 Stockton is also co-author of the book Eating Gluten Free: Delicious Recipes and Essential Advice for Living Well Without Wheat and Other Problematic Grains (2004). 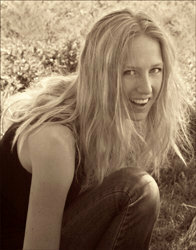 For more information on Shreve Stockton, her books, and on Charlie the coyote, please go to http://www.dailycoyote.net/.